Our roots stretch back to three defense engineers from California who set out for Texas with a trunk full of hydraulic valves in pursuit of a dream. That dream turned into reality when Hydraquip Corporation was founded in 1951. Growth and prosperity, the company initiated a plan for profit sharing. Expanded our presence throughout Texas, with new offices in the Dallas, Longview and San Antonio areas. Increased fabrication department to develop a power unit division. Hydraquip became owned and operated by its employees in 1986 through an Employee Stock Ownership Plan (ESOP). Expanded into the Louisiana marine industry, with the company opening offices in New Orleans and Lafayette. In 2005, we opened our first Express Hose Store in Tulsa, Oklahoma, and a second store in Lafayette, in November 2007. In 2007, the systems group split off to become Hydraquip Custom Systems, Inc. in order to provide better customer support while enhancing the ability to focus on the systems it does best. Employee Owned Holdings, Inc. (EOHI) became the parent company of Hydraquip and Hydraquip Custom Systems, Inc. In 2009, we expanded into Arizona and New Mexico. In 2012, formed an agreement with Eaton Aeroquip to provide Eaton Fluid Conveyance products throughout the entire state of Texas. Hydraquip continues its growth, recently being able to provide service and repair within the state of Louisiana through the acquisition of Huber, Inc. in 2013 and then expand into Colorado with the acquisition of Emrick & Hill in 2014. Our partnerships with our sister companies, Supreme Integrated Technology, Inc. & Elite Controls Inc., have allowed us to provide complete control systems (electro-hydraulic or fully electric), design engineering and fabrication capabilities to our customers. Employee Owned Holdings, Inc., (EOHI) is the parent for Hydraquip, as well as nearly all the other companies that make up the EOHI family – all specializing in highly engineered solutions. EOHI provides corporate services such as operations, IT, marketing, accounting, HR and HSE for all entities – supporting the growth and success of each business. SIT’s engineering expertise transforms ideas into success for hydraulic or electric powered moveable structures. Using innovative methodologies, SIT gives customers a single-source solution for marine, civil, jacking systems, industrial and military applications. 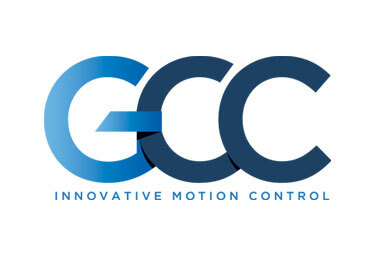 GCC, Inc. is a factory-authorized provider of pneumatic, hydraulic and electromechanical motion control products. Serving Florida, Southeast Georgia, and Puerto Rico from its headquarters in Tampa, the company stocks more than 12,000 different items from the world’s top manufacturers. In 2015, Logical Controls integrated with the Mechatronics group at Hydraquip Custom Systems, Inc. to create Elite Controls, Inc. (ECI). ECI provides robust, user-friendly control systems designed to enhance the performance of equipment, improve the efficiency of operations and reduce the total cost of ownership.